Shares of Oil Marketing Companies Declined as Oil Prices Rallied. Shares of oil marketing companies (OMCs) have fallen this month since oil prices rallied at 26-month high, which could reduce their margins. 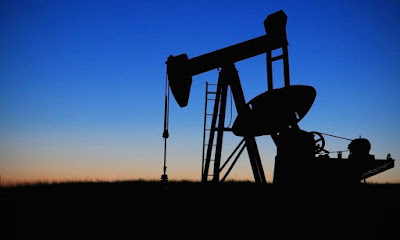 Shares of Bharat Petroleum Corp. Ltd (BPCL), Hindustan Petroleum Corp. Ltd, (HPCL) and Indian Oil Corp. Ltd (IOC) were down 11 to 12% in September month, but on the other side exploration companies such as Oil India Ltd and Oil & Natural Gas Corp. Ltd (ONGC) have rallied 22.25% and 9.27% this month. As per Bloomberg data, Brent crude prices rose 10.46% in this month. Brent oil prices were on the edge of 26-month high hit on Wednesday on supply worries in spite of threats from Turkey that it could reduce crude exports from Iraq. However, Brent crude was 1 percent down last day, after hitting previously at 59.49, its highest since July 2015 and more than 34 percent above a 2017 low. Rise in oil price may further affect input cost for many companies which depend on fuel. It is afraid, if oil prices stay at structurally elevated levels, input costs of companies will enhance. However, it will also cause a high import bill, which may impact the current account country’s deficit. Oil has been in a bullish trend recently on calls of rising global growth and a simultaneous rise in world oil demand. The global economy will expand more rapidly next year while still facing challenges, like high income inequality and low inflation, low productivity. The IMF forecast, issued in July projected global growth at 3.5 percent this year and 3.6 percent in 2018.